As we have indicated in the past, the symbol of the fourth dimension, the spiritual realms, is that of the circle. The circle is encompassing; all points upon its edge are equal to the center. When three-dimensionalized, the circle becomes a sphere, similar to that of the planet on which you dwell. Even the universe itself is circular in its form. 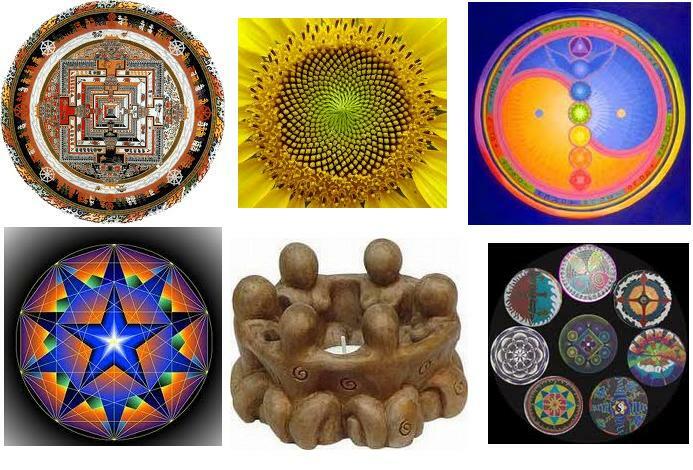 The impact of the circle goes beyond just the physical form of the universe but to how existence expresses within it. The galaxy’s orbit, a center sun, the planets, their own unique fiery star, the years, the seasons, the days are all cyclical in nature. With each sunset is the promise of a new day. With the withering of a flower in the early fall frost is the promise of a blossom in the spring. With each death is a promise of a new birth. Some see this impermanence and ever-changing existence as a detriment, when in fact, it is a statement of the continuity and continuation of the creative expression of existence. The circular and cyclical nature of physical existence is the direct interpretation and integration of the eternal here and the eternal now as physical expression. The cyclical nature of existence allows you to experience and re-experience the ever-present and unchanging aspects of eternity. The cyclical nature of existence is nature’s interpretation of the Source which exists outside of time and space. The seeming temporality of existence and the impermanence of any physical thing is an illusion; for, creation is the effervescent expression of that which is beyond time and space in physical form. Within the sacred circle, within the cycles of your physical expression, you will find the hint of eternity, the fragrance of infinity and the promise of existence. Creation itself is cyclical, that which is created returns to that which created it. Life, be it the flower, the animal or the human, mimics the grand cycle of creation returning to the creator. Every life form returns to the one who created it. So death is not a curse, life cycles are not a distraction. Indeed, when the creation and the creator are again one in consciousness, there will be no need for death. But when that occurs and the creator and the creation are again one, they will again explode forth into a new form of existence, an ever-expanding and encompassing expression of consciousness. This is not the first universe. It is not the last. Lifetimes of physical expressions are not burdens but rather a participation in the creative force of the universe. To reiterate, the cycles and the circles of physical expression is consciousness’ interpretation of eternity and infinity in physical form. It is how the universe puts the round peg of the fourth dimension into the square hole of physical expression. There is one more part of that process, and that is because physical expression, conscious experience, is ever expanding, one returns to the same place and sees it again for the very first time. Spring is spring, but each one is different. Each dawn is a dawn but builds upon the one before it. Each year is predictable but totally different in its form and shape, therefore creating the spiral of consciousness. Conscious attainment, spiritual awakening has been referred to as a spiral, a spiral stairs unto the consciousness of God. That symbol is appropriate and represents the merging of the physical expression of creation with the expansion of consciousness. And for there to be that spiral, there must be both the cyclical nature of physical existence and the ever-expanding growth in conscious awareness. For every circle, every cycle there is a center. And in that center you will find God. You will find yourself. All things encircle that which created it and is drawn towards that which it was born from. Truly the center of all consciousness, all creation, exists at that center point of existence and awareness. It is that center point of self-awareness that brings alignment, order, movement, and motion to all that exists. The circular, cyclical nature of creation and physical expression is proof that God embraces creation in its arms and holds it close to itself. All order of the universe, be it the movement of the stars, the rising of the sun, the blossoming of a flower, the first cry of a newborn babe is proof and promise that eternity and infinity from which you are born is expressing in physical form.